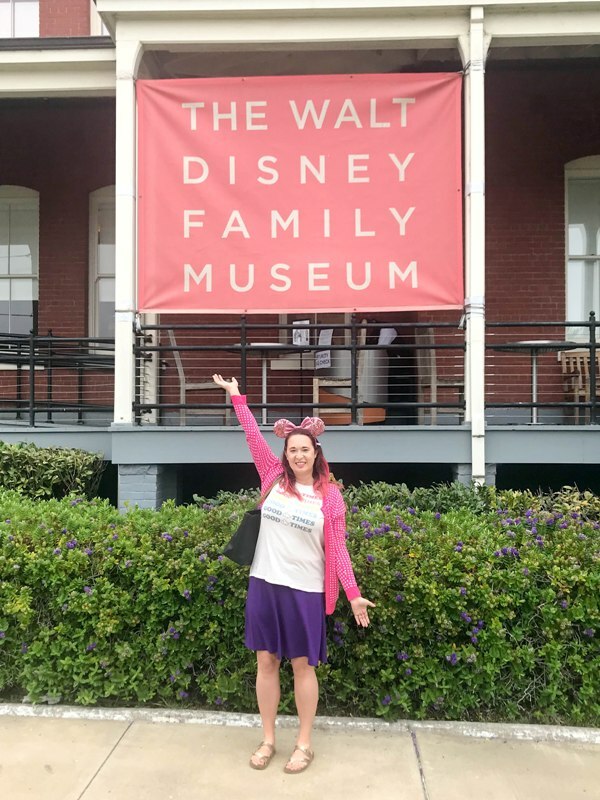 When we planned our trip to San Francisco, I told my husband there was ONE THING I absoltely had to see: The Walt Disney Family Museum, of course! The museum opened in 2009 and I’ve been desperate to go ever since. I’m so glad I finally did! 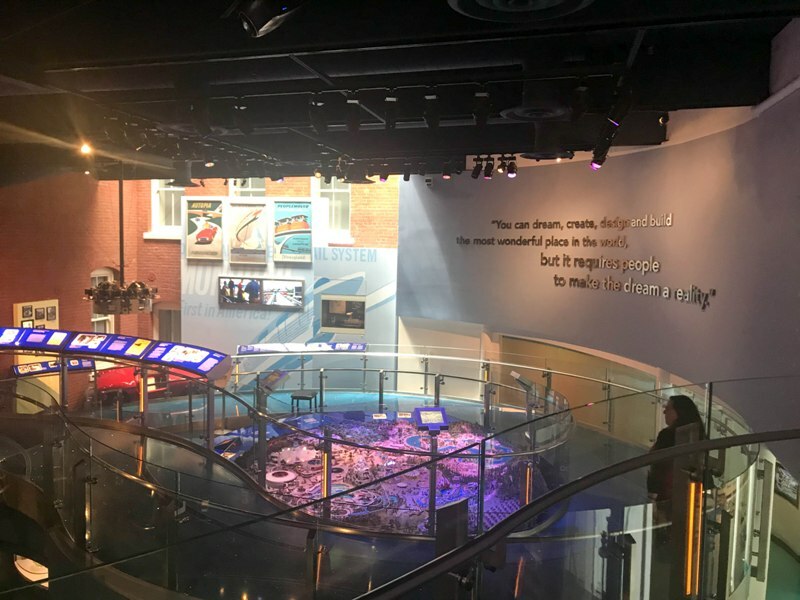 The Walt Disney Family Museum was established to tell the story of Walt and his amazing accomplishments and extraordinary vision. 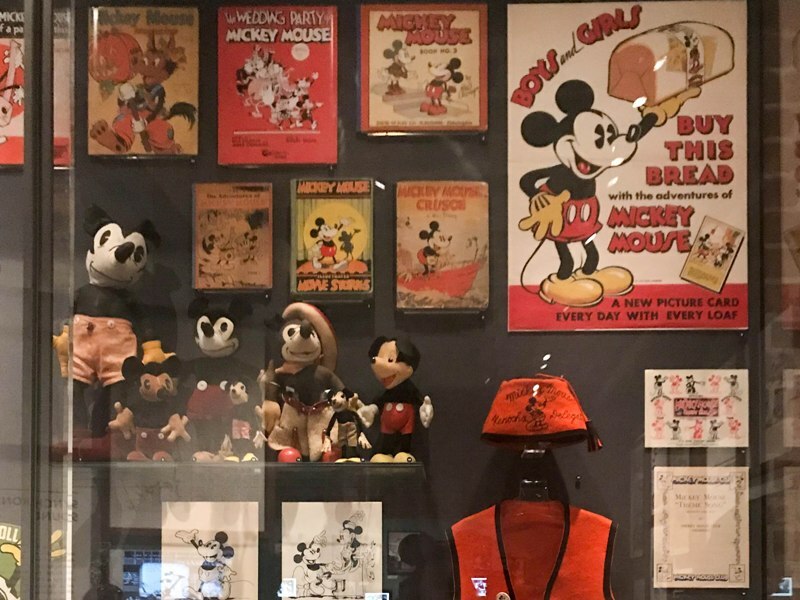 His daughter, Diane Disney Miller, said, “My father has one of the most well-known names around the world, but as the Disney ‘brand’ has grown, the man has become lost. 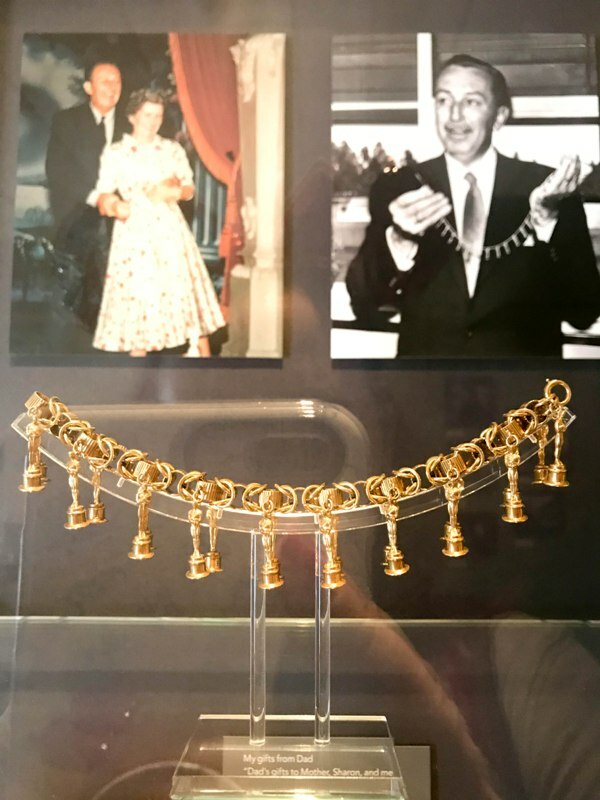 We are committed to telling the story of Walt Disney’s life, in his own words, and in the words of others who knew him well and worked with him.” The museum does this very well. 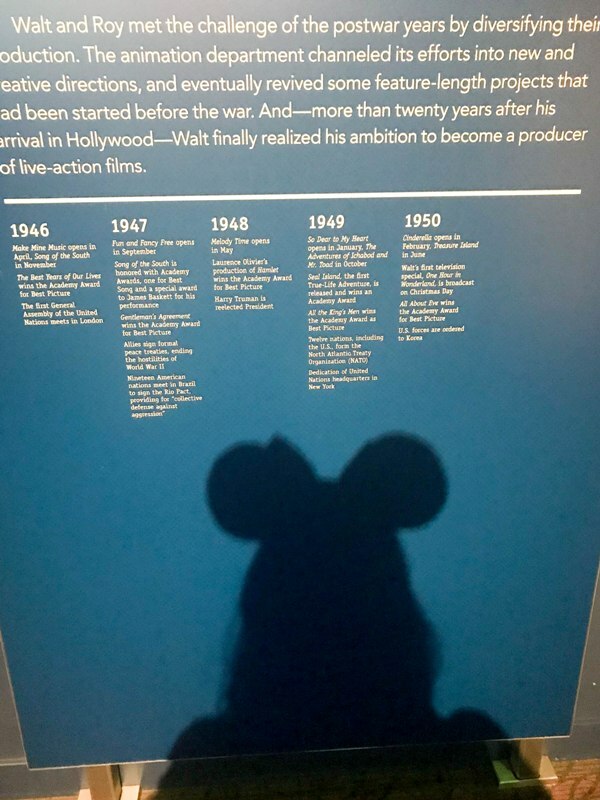 It’s not the story of the Disney company, it’s the story of the man himself (and all the people he met along the way). 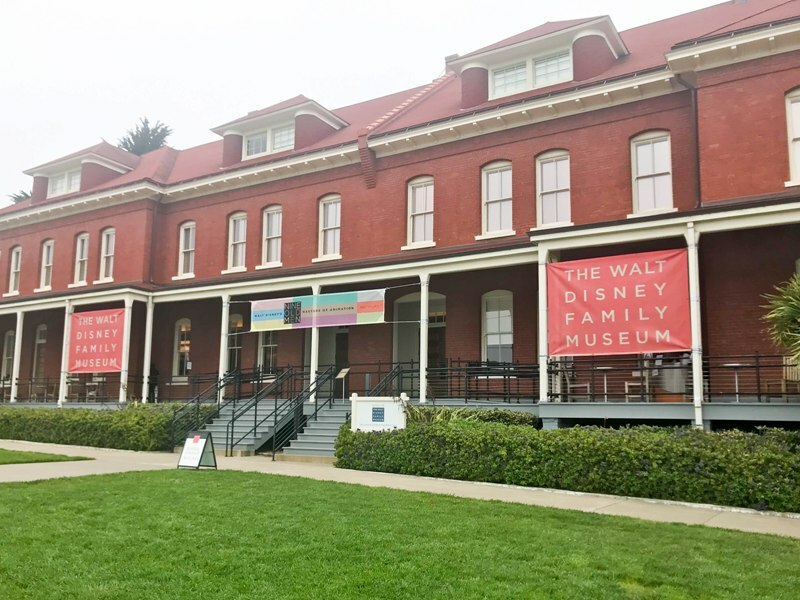 The museum is in a curious location, the Presidio, away from the crush of the city. We easily traveled to the museum via two bus lines. At some point you leave the streets lined with row houses and enter into a forest. 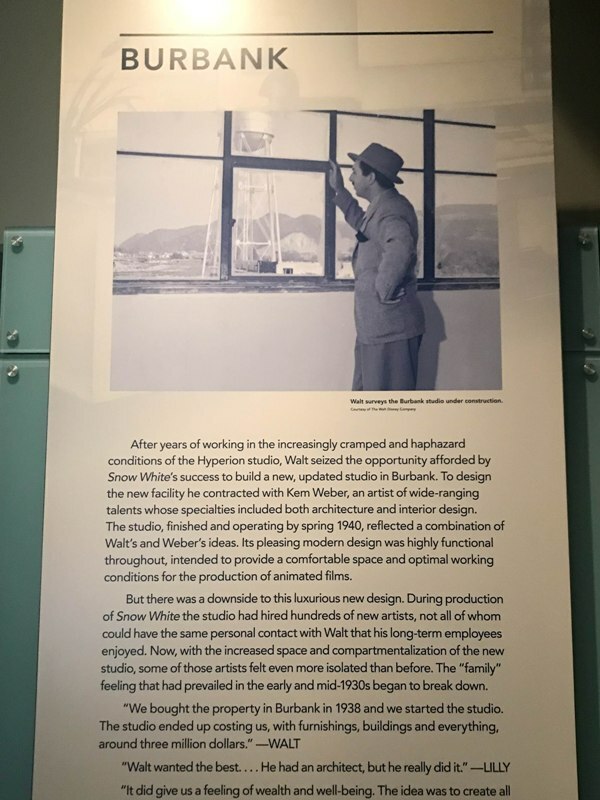 The Presidio is largely undeveloped land, a welcome escape in such a busy atmosphere. 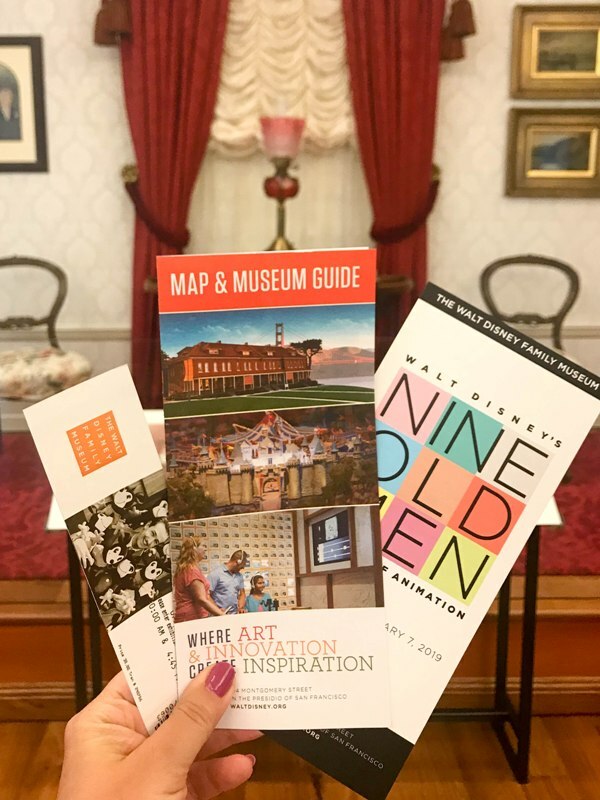 The land is basically owned by the National Park Service and houses a number of museums, restaurants, and art installations, as well as serving up a lovely beach and views of the Golden Gate Bridge. But the main attraction for us was the museum. 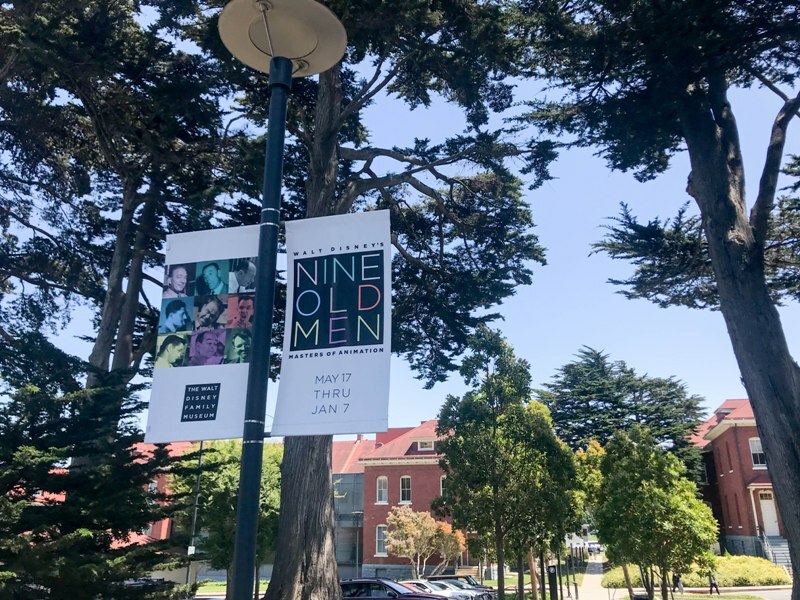 It’s located in the “Main Post” section of the Presidio and is easy to access via car or bus. We got there right when the museum opened on a Friday and it was very easy to walk in and purchase tickets. Even without purchasing a ticket, there is plenty to see. 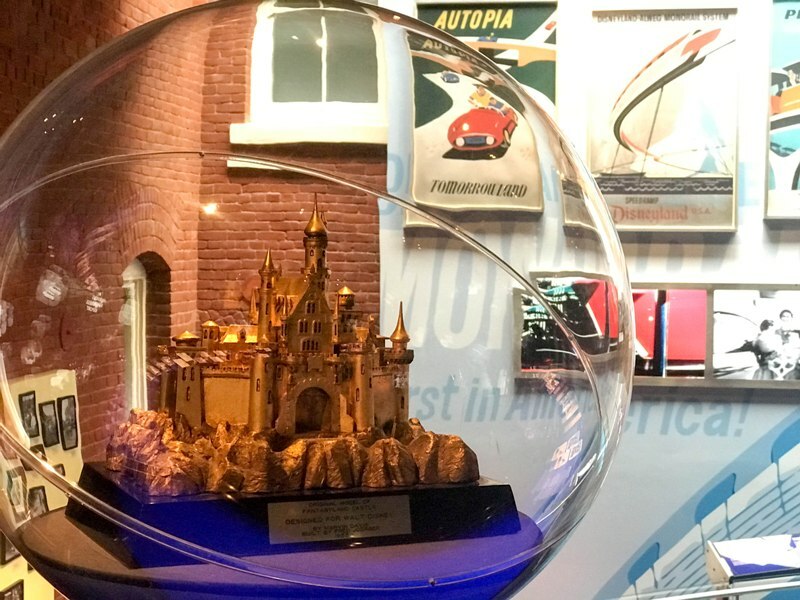 The entire lobby area contains awards, plaques, and other honors given to Disney. Anyone can browse the lobby displays, as well as visit the cafe, located to the left of the lobby area. 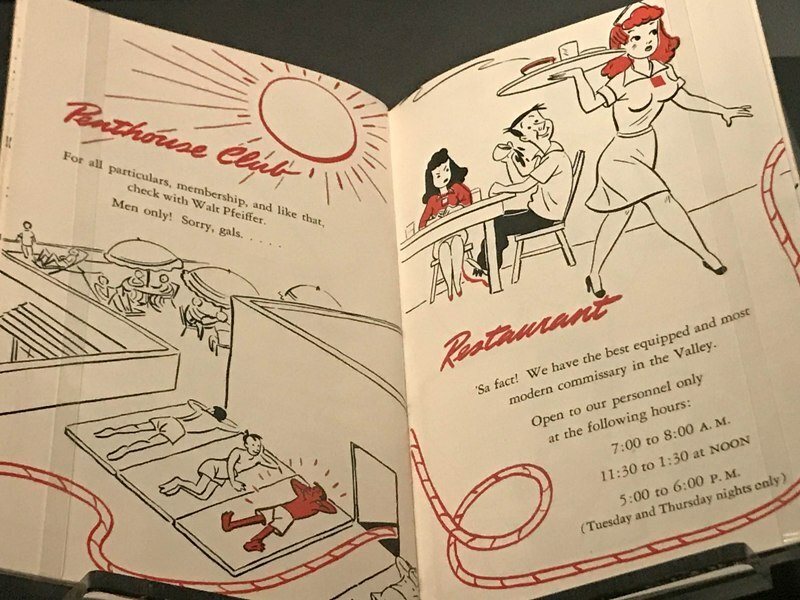 The museum itself takes you on the journey of Walt’s entire life, from birth to death and beyond. 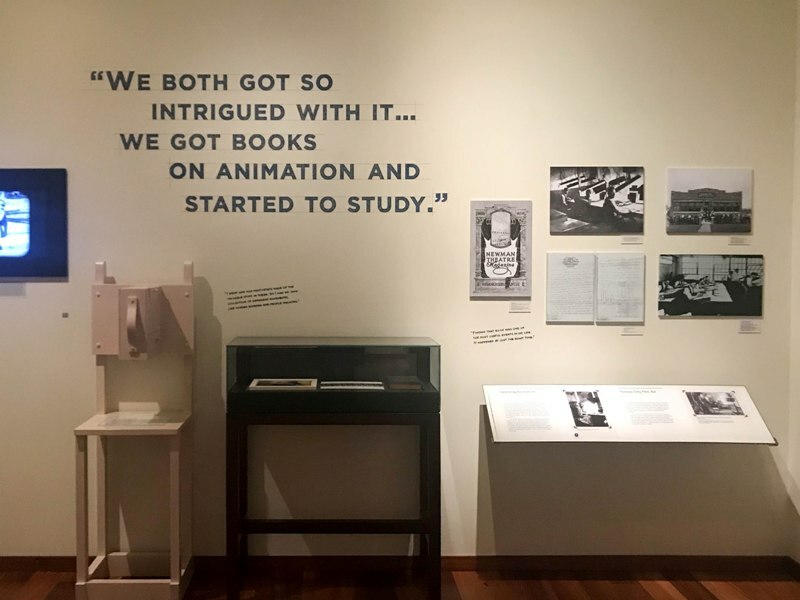 The first room shares stories of Walt’s parents and family, and what life was like in 1901 when Walt was born. 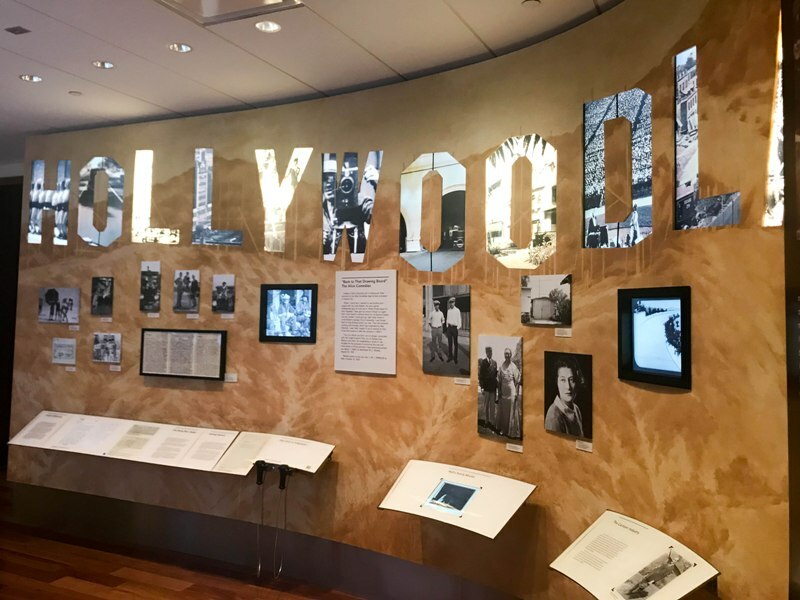 Each room of the museum takes you forward another decade or so, presenting written text, memorabilia, and audio or video clips. Each room has a different “feel” which matches the time period. 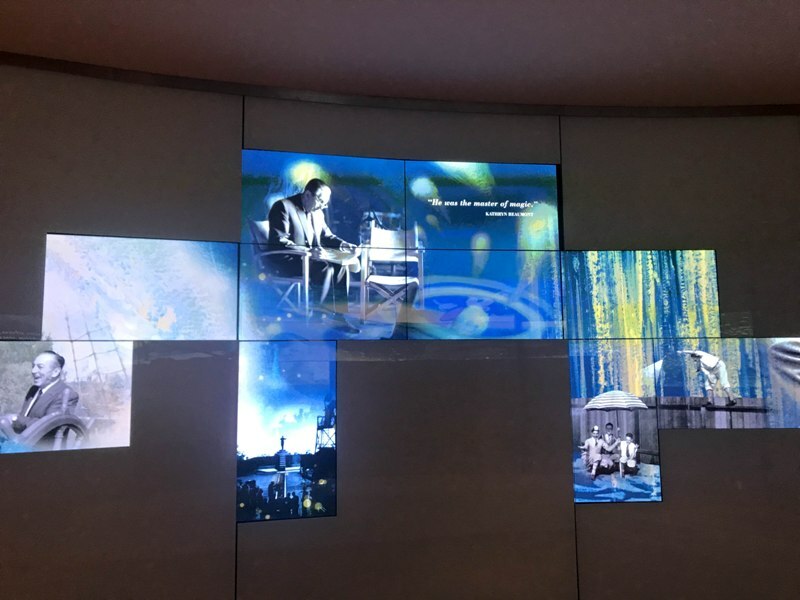 One thing that I didn’t love about the museum were some of those sound clips. If you want to really take your time perusing a room, it gets a little irritating to hear the same two minute audio clip on repeat. 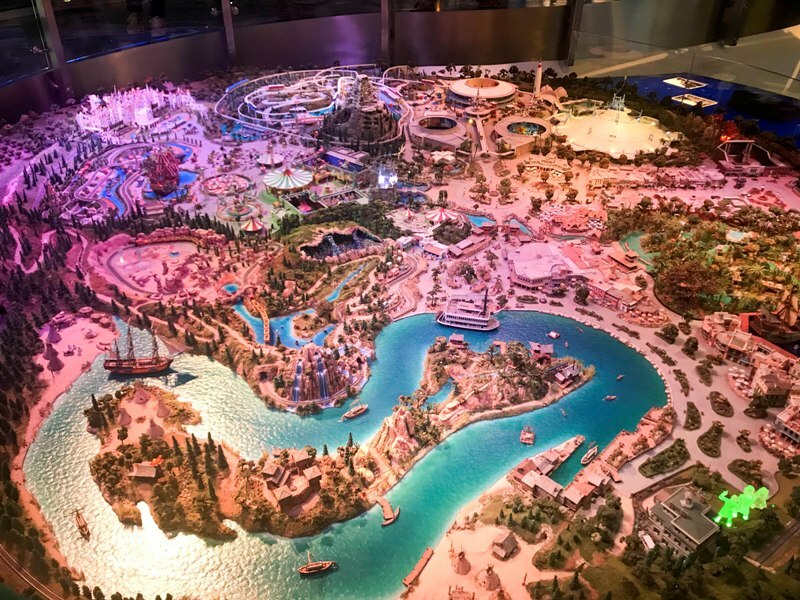 The highlight of the museum for me was the Disneyland decade. 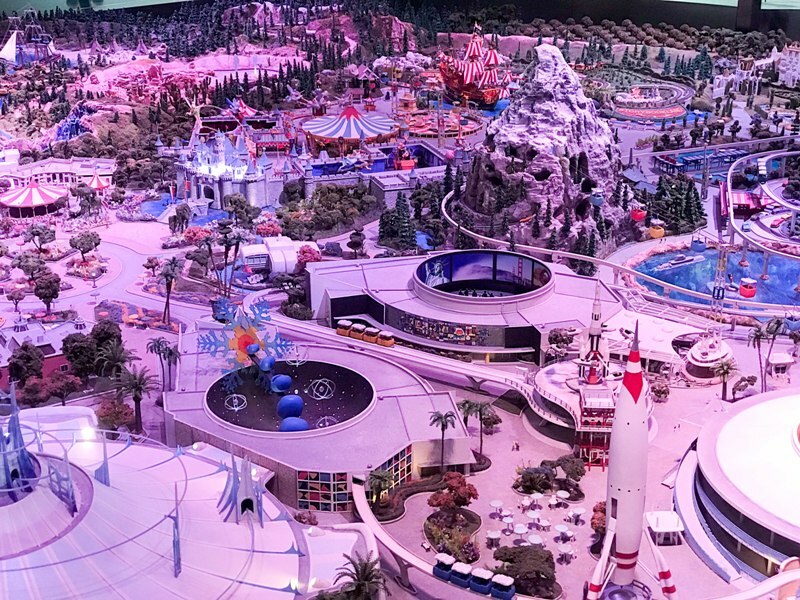 The large, two-story room takes you on a journey to building Disneyland, ending with a spectacular model of “The Disneyland of Walt’s Imagination.” It’s not a model of any version of Disneyland that existed, but instead incorporates how Disneyland looked on opening day with Walt’s future vision for the Park. I could have spent hours studying every detail. 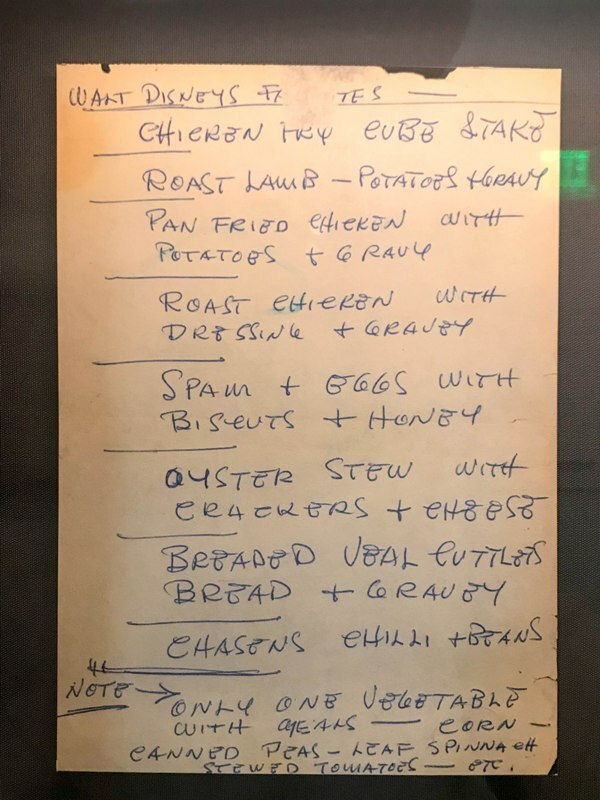 That brings me to a question you might have – how much time should you plan for the Walt Disney Family Museum? Well, it depends on who you ask! I could have spent a full day there, studying everything. 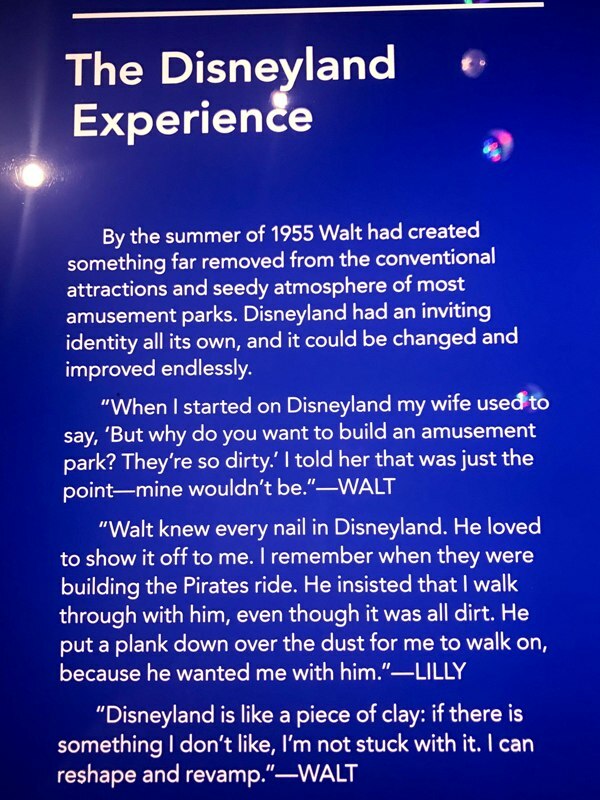 But my husband – who said he enjoyed the museum but is not as big of a Disney fan as I am – was satisfied with the four hours we spent there (including a break for lunch at the cafe). 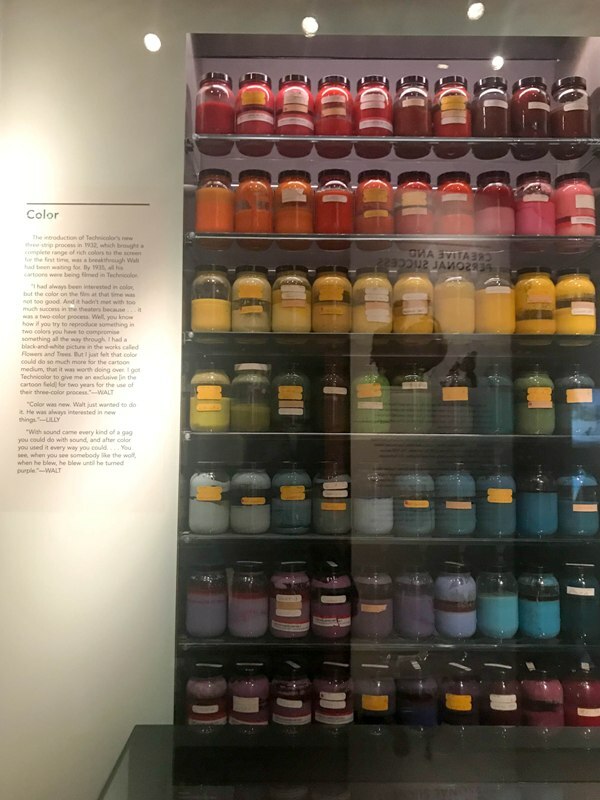 There is plenty to see, and you’re not going to want to rush through it if you only have an hour to spend. I recommend half a day, at the least. 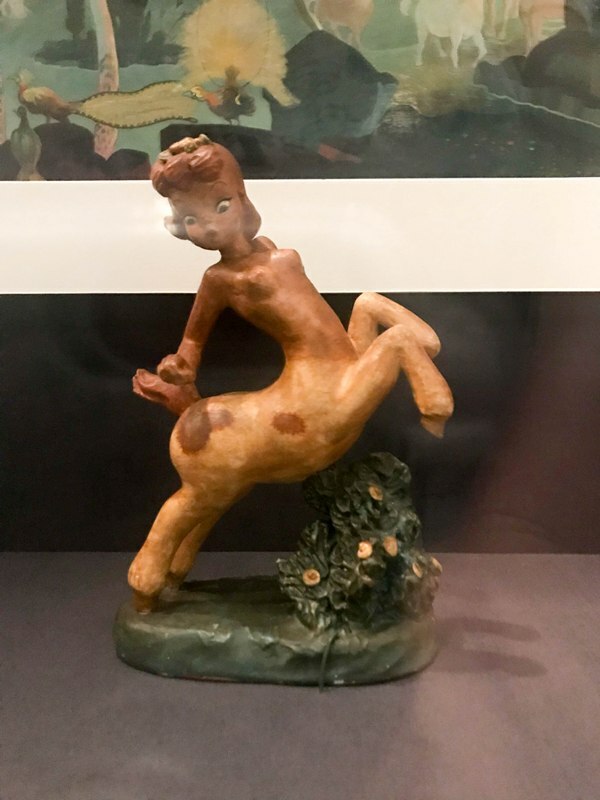 After we went through the main museum and had lunch, we visited two smaller temporary exhibits where we weren’t allowed to take photos. 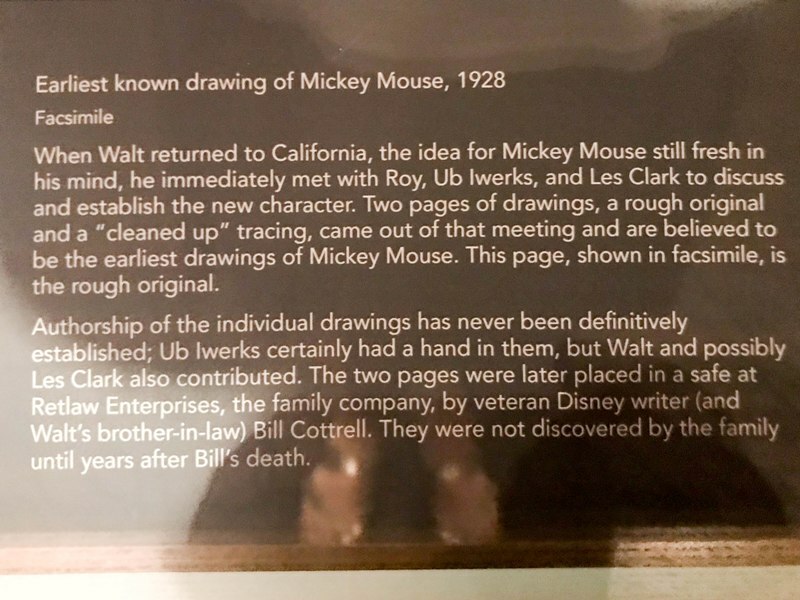 In the lower level, below the cafe and gift shop, was an exhibit showcasing Glen Keane’s artwork. Keane is famous for his animation during the “New Golden Age” of Disney animation – The Little Mermaid, Beauty and the Beast, Aladdin, Pocahontas, Tarzan, and Tangled. 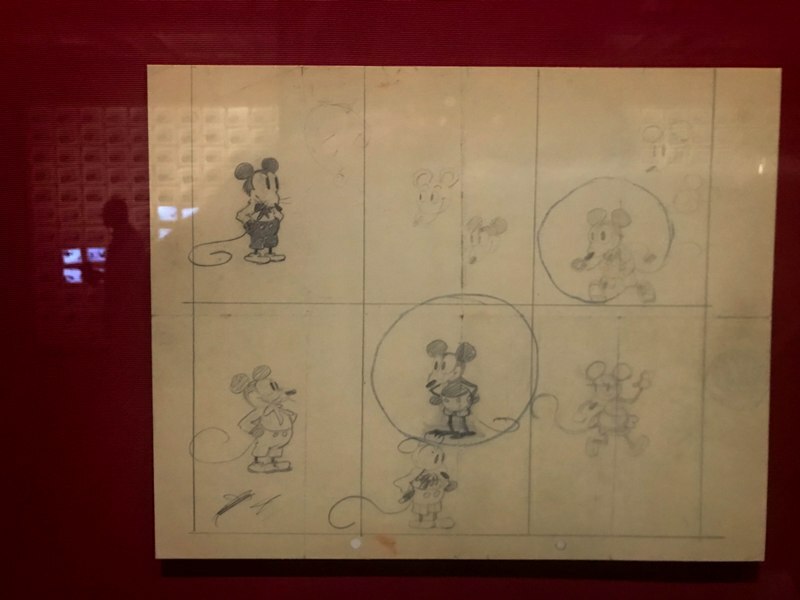 In a secondary building was the temporary exhibit “Nine Old Men,” honoring some of Disney’s most famous animators. 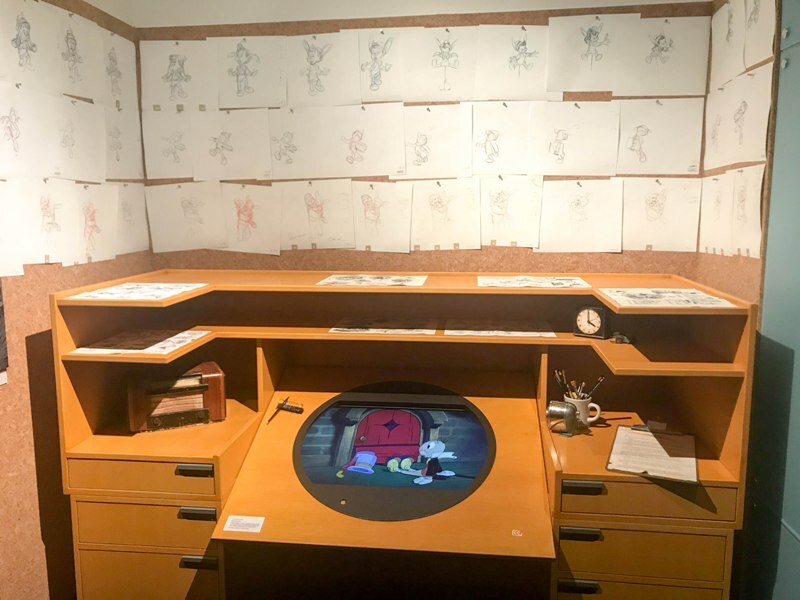 The exhibit featured some of the original sketches and animation cells from Les Clark, Marc Davis, Ollie Johnston, Milt Kahl, Ward Kimball, Eric Larson, John Lounsbery, Wolfgang Reitherman, and Frank Thomas. 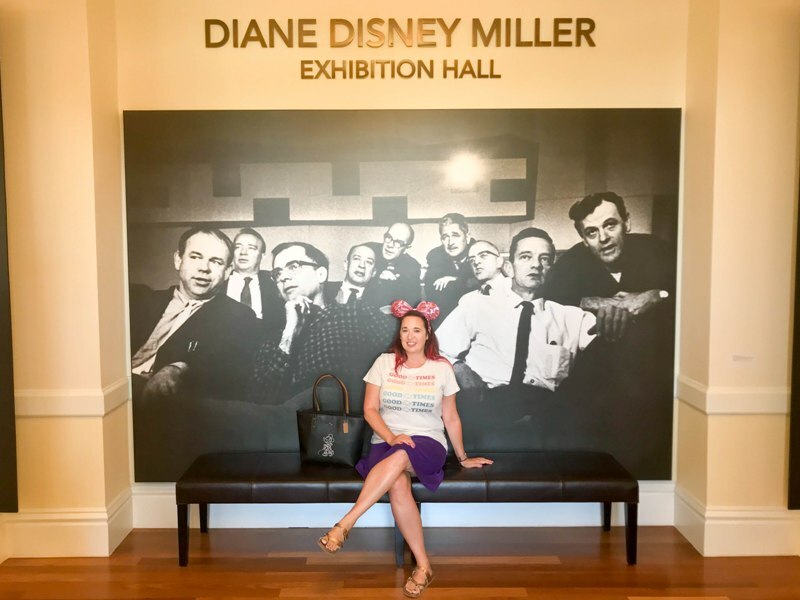 Visiting the museum was a dream for this Disney fan. 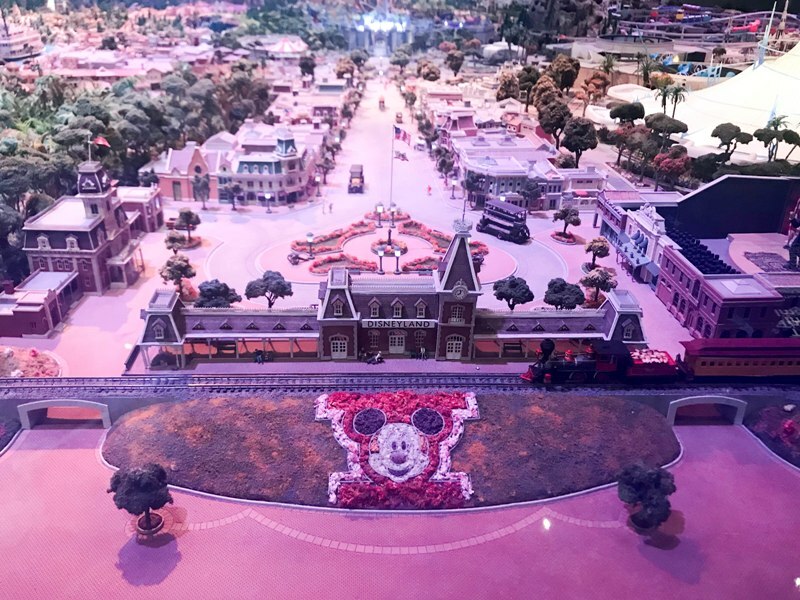 Everyone who loves the story of Walt Disney, and the magic of his movies and his Parks, should make the journey and experience it for themselves. 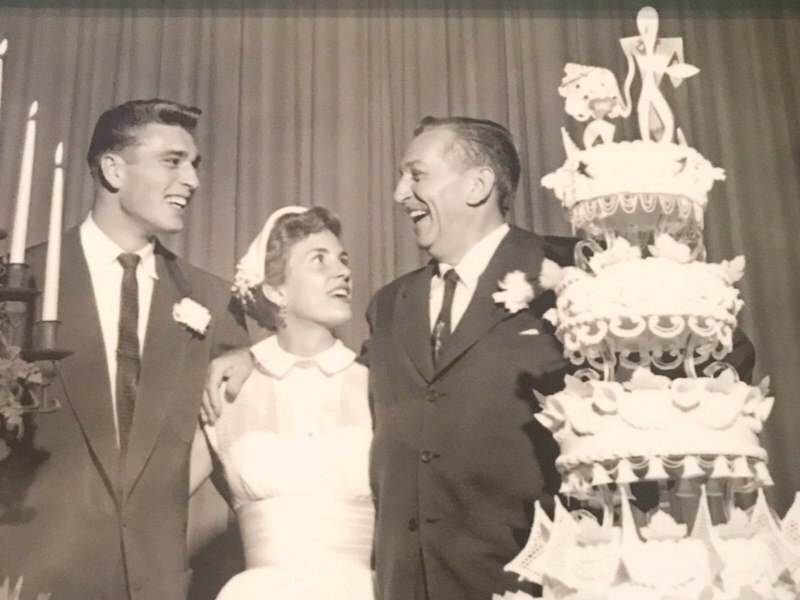 And, YES, you can have your wedding reception at the Walt Disney Family Museum! 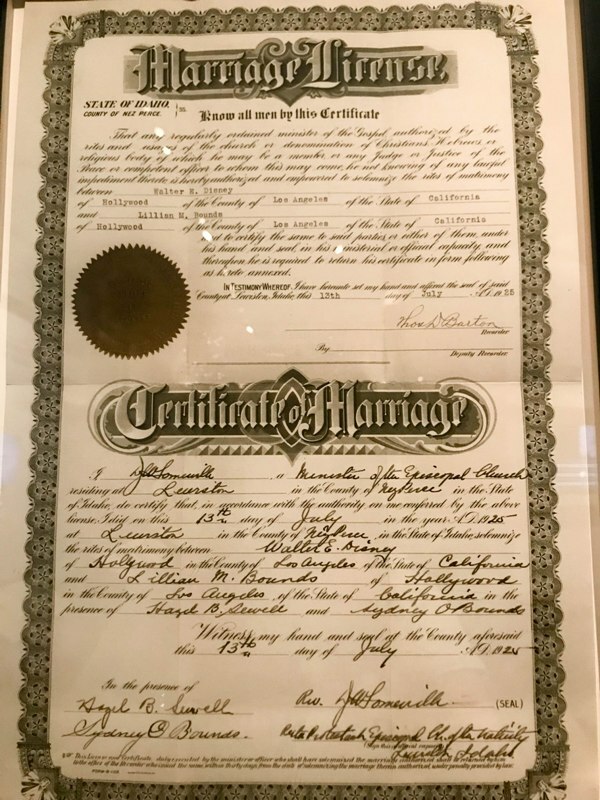 They do not have ceremony space but you can have your ceremony elsewhere in the Presidio and have your reception at the museum (availability permitting). Here’s one couple who did just that.